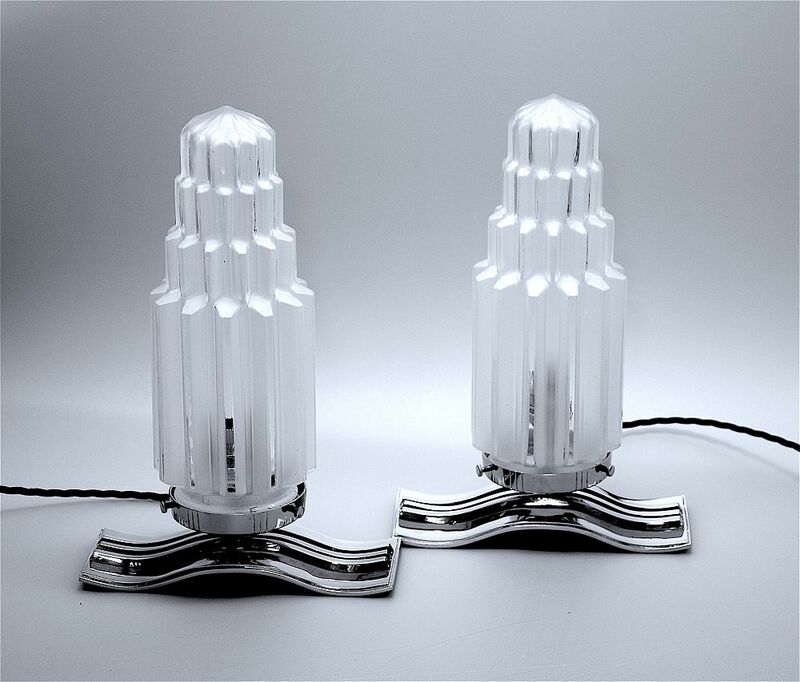 These very stylish table lamps were made during the Art Deco period. Each undulating chrome base has 3 square chrome tubes running throughout the middle from end to end and below the round patterned gallery that supports a frosted glass skyscraper shade. The shade is held in place by 3 screws.